On Saturday, Punxsutawney Phil predicted an early spring. So what is a Groundhog, anyway? A groundhog is a rodent, related to marmots (ground squirrels) and squirrels. They’re also known as woodchucks. The word “woodchuck” comes from the Native American word “Wojak” which was the name for a groundhog. Groundhogs are common animals in the Northern Eastern and Central U. S. and southern Canada. They are burrowing vegetarians and can be serious garden pests. So how did the whole groundhog-predicting-the-weather get started? Groundhog Day is based on ancient European folklore. Some people held the belief that badgers or magical bears forecast when spring would arrive. German settlers to Pennsylvania brought this folklore with them. 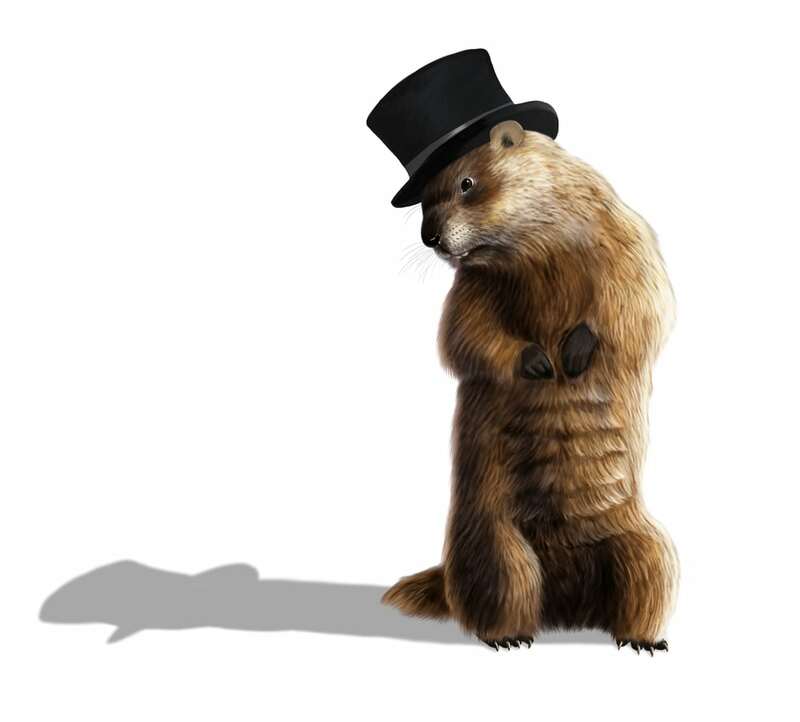 Punxsutawney Phil is not the only groundhog known for predicting the weather. There is Buckeye Chuck, the official State Woodchuck of Ohio. There is also Chattanooga Chuck, a long-time resident of the Tennessee Aquarium and Staten Island Chuck aka Charles G. Hogg, who resides in Staten Island. And there is General Beauregard Lee, who lives at the Dauset Trails Nature Center in Georgia. He’s probably the most “educated” of the bunch, having received honorary degrees from both the University of George and George State! There are other animals who legend says can predict the weather. My grandmother used to say that when birds fly in low, rain is coming. It’s said that frogs croak louder and longer when storms are on the way. Other legends say that if you usually see a lot of butterflies in your garden on a sunny day, but suddenly they’re all gone, that you should batten down the hatches for a storm. Still another legend says that wolves howl louder and longer before a storm because the approaching low pressure hurts their sensitive ears. Another legend says that if squirrels have extra bush tails, it means a hard winter. And, I’m sure that we’ve all heard the one about the stripes on wooly-bear caterpillars…. So how accurate is Punxsutawney Phil? According to Stormfax.com, Phil is right only about 39% of the time. NOAA’s National Climatic Data Center has stated that the “groundhog has shown no talent for predicting the arrival of spring…” Still, I really hope he’s right this year!